Kailua Racket Club Upon reaching Hawaii, Ed and Florence immediately took up where they had left off after their last visits. They played tennis and cavorted on the beaches with the kids by day and attended bridge parties, luaus and social events by night. There was a major difference however, as there was now a tense atmosphere on the islands -- talk of war was everywhere. On May 7th Ed took the family on a tour of Pearl Harbor and the U.S.S. California where he was made quite welcome by military brass. One evening, a few days later, he and Florence drove to the top of Mount Tantalus to observe a Honolulu blackout rehearsal. After a few months of beachcomber style existence at Kailua, Ed wrote friend Bert Weston that Florence was discouraged with the cost-saving measures, as well as the remoteness and condition of the house with its rats, bugs and scorpions. Ed maintained a daily writing schedule in his makeshift garage office but he and Florence still attended regular evening social affairs with friends - including many film people: John Halliday (The Philadelphia Story, Lydia, Intermezzo), Oscar winner Janet Gaynor (career launched in Florence's film, The Johnstown Flood), naval officer Hal Thompson and his wife, longtime family friend, Rochelle Hudson (The Bosko series, Mr. Moto, Curly Top, Boston Blackie, Rebel Without A Cause). 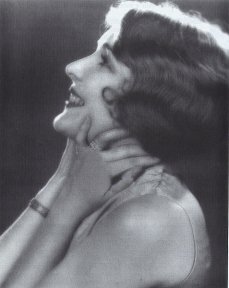 Rochelle's film career was interrupted during the coming war years when she worked for the Naval Intelligence Service in Central and South American and Mexico. The social evenings usually involved drinks followed by bridge. Ed's inner agonies, guilt and fears, as well as his increasing reliance on alcohol, were creating marriage tensions. Florence sometimes had to do the driving after some of the party nights and found it extremely difficult maneuvering their heavy, cumbersome Pierce Arrow or Packard along the Pali Highway through the mountains to Kailua. Friends were starting to note that the two appeared ill-mated. Florence finally decided they would have to move from Kailua after being stung on the heel by a centipede at a fireworks celebration on the beach. The Burroughs family moved over the mountains to 2623 Halelena in the Manoa Valley, Honolulu on August 28, in time for the kids to enroll in Punahou School in the city. A week later, Ed moved into an office at 1298 Kapiolani Boulevard. He worked at the office from nine to four, preferring to keep his work separate from his homelife. The Deputy Sheriff of Comanche County with illustrations by Jack, was published on September 15th. The dedication was "To Mary Lucas Pflueger," a close friend an member of a prominent Honolulu family. Because of wartime paper shortage, this was the last ERB book to appear until 1944. By the end of the year Ed and family had moved to a three-bedroom cottage - part of the Niumalu Hotel on Kapiolani Boulevard. Florence was becoming increasingly disenchanted with Ed's nightly partying with his military buddies and was not happy with his strict expectations of son Lee, who was non-athletic and a mediocre student. Ed, on the other hand, was frustrated with the increasing lack of recognition of his writing, both financially and artistically. He was losing patience with acquaintances and critics who so often belittled his work. In February of '41 two of the world's best-known authors, Ed and fellow-Chicagoan Ernest Hemingway dined with their wives on opposite sides of the same Honolulu restaurant. Neither identified himself although they were two of the best-known authors of their day and they had much in common. Florence pretended to swoon at the sight of Hemingway and insisted that Ed go over to introduce himself, all of which did nothing to allay his feelings of artistic inferiority and deal with other personal demons he was fighting at that time. Back on the mainland Ed had exhausted himself for four years trying to keep up with his younger Hollywood socialite wife. When they moved to Hawaii however, he was more in his element and took on new energy. Florence possibly felt that she had created a party monster. The army and navy personnel welcomed this ex-military man and author of Tarzan as one of their own, welcoming him with an unlimited supply of booze and hospitality. Ed himself said, "You just can't say no to the people over here." Florence was just as welcome at these mostly male gatherings, but now she apparently had trouble keeping up with her husband and started to look upon her main role in their marriage as being merely Ed's sober chauffeur. Nor was she satisfied with the cramped and musty quarters and communal dining room at the Niumalu. The relationship between Ed and Florence had clearly become strained. Finally -- in mid-March -- with threats of war on the horizon and major rifts developing in their relationship, Ed borrowed money for his family's fare back to the mainland. Florence and the kids sailed at noon on the Lurline. Upon reaching the mainland Florence started divorce proceedings. Meanwhile, tormented over Florence and finances, Ed was experiencing slight stroke and angina attacks. His diary entries from that time period indicate that he had fallen into deep depression and complete withdrawal. He even sent Rothmund, his trusty ERB, Inc. secretary, instructions to be followed after his death. Drawing upon inner resources, however, he soon snapped out of his bouts of depression, swore off drinking and started to lose weight. On July 23 Florence announced through her attorney that she was filing a suit for divorce against Edgar Rice Burroughs, the author, charging him with mental cruelty. 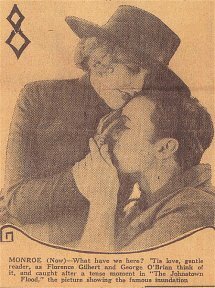 The Star Bulletin reported that Florence had filed for divorce. Ed's legal matters were delegated to Rothmund. The Honolulu Star-Bulletin reported that Ed's reaction to the divorce announcement was, "News to me." 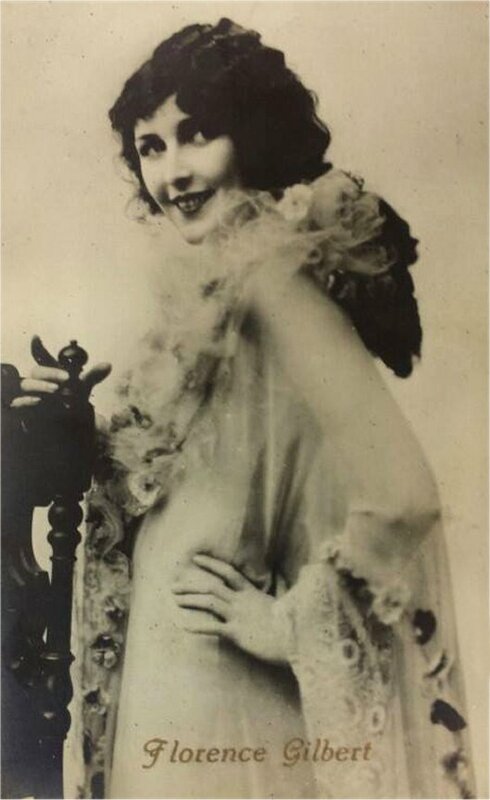 Florence was granted a divorce in Juarez, Mexico, ten days later. 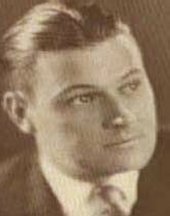 Ashton Dearholt, Florence's former husband, father of Lee and Caryl Lee, and Ed's former business partner, died in April of '42. Florence re-married in that year, to a physician, Dr. Albert Stillman Chase. Although separated, Ed and stepdaughter Caryl Lee kept up a correspondence for the rest of Ed's life. Florence and her new husband enrolled her in the private Marlborough School for Girls in 1943. Still loyal to Ed, however, she persisted in using Burroughs as her last name -- against her mother's wishes. She even fought the adoption by Dr. Chase. Ed sent her many letters and presents over the years and always encouraged her to keep the Burroughs name. Ed Burroughs went on to a new career as a War Correspondent in the Pacific theatre but never remarried although he had a number of near misses. Emma died of a stroke, alcoholism and depression in Bel-Air on November 5, 1944. Ed viewed her death as an escape from an agonized life. Fortunately Ed and son Hully were granted compassionate leave from their military duties and flew to join the family in California. He saw grandsons Johnny and Danton for the first time and spent his first Christmas in 11 years with his family. He later had an amicable meeting with Florence and her new husband, Dr. Albert Chase, and Caryl Lee. 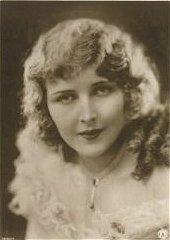 Daughter Caryl Lee eventually became a well-known animal trainer in Hollywood (Harry and the Hendersons, The Lonely Guy), using the name Cindy Cullen. She died in her sleep at her home in Sedona, Arizona on July 10, 2001. Son, Lee Chase, graduated from high school in 1948 and spent over three years as a radar observer in the Air Force before graduating from USC in real estate. He spent over 40 years in that field, travelling worldwide. He and his high school sweetheart, Suzanne, have been married since February 14, 1953 and have two sons and a daughter. His retirement years are taken up with travelling and with his involvement in antique car clubs. Florence's brother Eddie Gilbert pursued his love of books, a passion fueled by his famous brother-in-law, Ed Burroughs. Eddie's bookstore -- Gilbert Books -- was a fixture at Hollywood and Vine for many years. 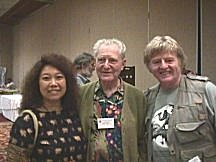 He was guest of honour at the Tarzana 1999 Burroughs Dum-Dum Convention. He died on June 27, 2000. 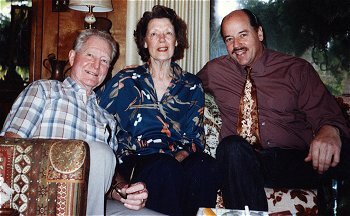 Lee, Cindy and Eddie have been very popular guests of honour at ERB conventions as they were the last of the people who knew Edgar Rice Burroughs. 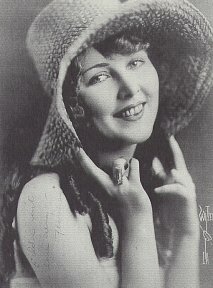 Although retired from the entertainment industry, Florence remained socially connected to the film community through her professional friendships. 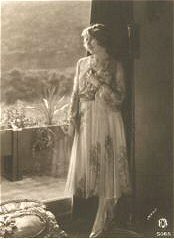 In her later years Florence lived with daughter Cindy in the San Fernando Valley. When she weakened through old age she stubbornly refused hospital care, preferring be at home with her books and television. Cindy, who had loved and trained animals all her life, had the ashes of a few of her animals in urns displayed her mantle. Florence had often jokingly said she wanted to be cremated but wanted Cindy and Lee to promise that her ashes wouldn't end up on the mantle with the animals. Florence Gilbert died on February 27, 1991. Her ashes are interred at the Rose Garden in Exposition Park near USC. Reggie accidentally drops his girlfriend's locket down the back of another woman's dress. He has to retrieve it without attracting the attention of her husband.